nice rug, bad color. good quality. Very rough and hard to move the chairs back and forth on. I am using it in the kitchen. looks like it would match french country decor, not the industrial look I was going for. 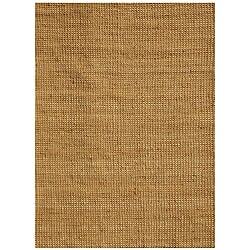 This Basket rug features hand-woven jute construction and a 0.5-inch pile. 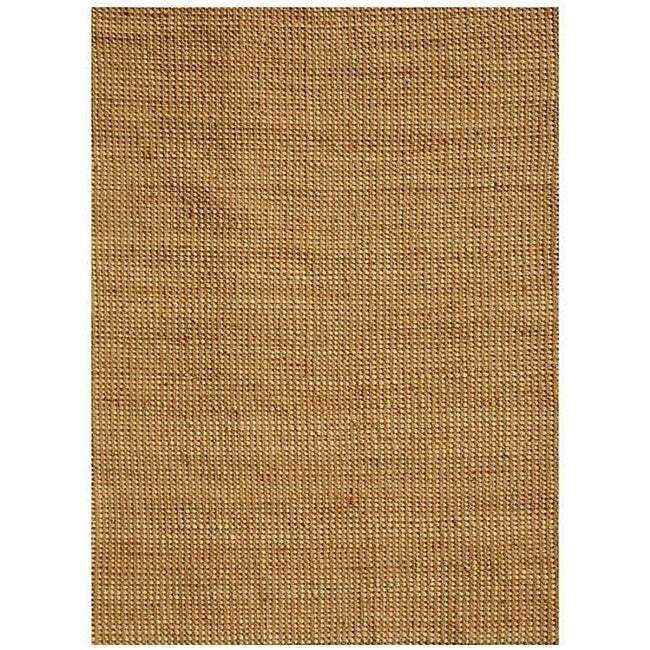 This natural colored rug also features a subtle abstract pattern with accents of gold. Dimensions 6 ft x 9 ft. It arrived within 3 days of ordering, and was better quality than what I thought it would be! It is very comfortable under foot I was afraid it would be scratchy, but it wasn't. The only negative is that it sheds, but I'm sure that will decrease with time!